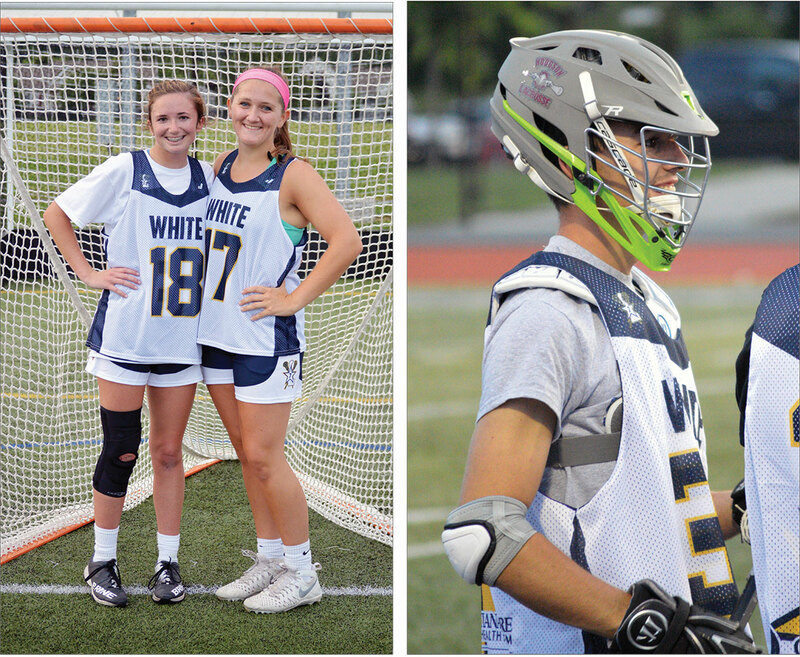 Kealey Allison and Delaney Brannon represented IRHS in the 2018 U.S. Lacrosse Blue-White All-Star game on the girls’ side, while Ryan Burbridge represented the boys. The 2018 U.S. Lacrosse Blue-White All-Star game featured 50 female and 72 male student-athletes and was played at Dover High School. The scores of the games may be meaningless in the grand scheme of things athletic, but a final chance to represent their schools was so much more important. Indian River High School was represented by Kealey Allison and Delaney Brannon on the girls’ side of things, while Ryan Burbridge was the lone boys’ participant for the school. Allison scored three goals and assisted on another in her final scholastic contest, but it wasn’t enough, as her White squad fell to the Blue, 19-17. The White team comprised members of teams from the southern part of the state, while the Blue consisted of teams to the north.